Getting down to a few of the last items of Monty's time in Big Blue. 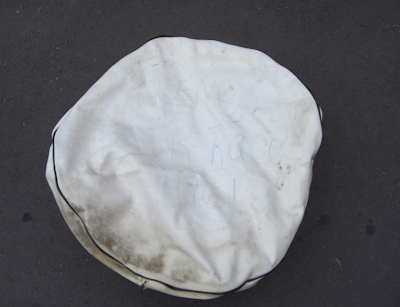 This spare tire cover was in a crate in the back of Blue. 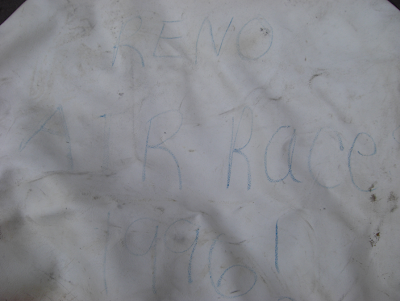 Inscribed, "RENO AIR RACE 1996! ", it must have been one of the last times Big Blue went to the races.